Bone health is something that all women should be aware of – and something worth considering when you are bringing up children. Like most health issues, our genes play a key role in deciding the potential strength of our skeleton, but how healthily you live at all ages can affect how strong bones become – and stay. As we age it’s inevitable that we will lose some bone strength – but if you ‘bank’ enough and develop positive lifestyle habits you’ll decrease your risk of osteoporosis - a condition that causes bones to weaken. The bad news is that after the age of 35 our bones begin to lose their density, and this is what can lead to osteoporosis – which affects around three million people in the UK. Women tend to suffer from the condition more because bone loss happens more rapidly in the years following menopause. So how exactly can you reduce your risk of osteoporosis – and keep your bones as strong as possible? 1. Calcium is King – and collagen is Queen! Preventing osteoporosis and maximising bone health starts in the womb where the baby's skeleton is developing. During childhood, adolescence and early adulthood, your skeleton is still growing and it is important to maximise bone strength. The bone accumulated in girls aged 11 to 13 for example, is about the same amount lost during the 30 years following the menopause, and bone density can continue to increase until our late 20s. During this window of opportunity, you must eating a well-balanced, calcium-rich diet – and avoid risk factors such as smoking or excessive alcohol consumption that counteract a nutritious diet. But what you eat continues to be important even after your twenties. Since our bones are made up of collagen (protein), calcium salts and other materials it makes sense that to strengthen your bones you must eat enough calcium – adults need 700mg of calcium a day. Calcium-rich foods include: dairy foods including milk and cheese, green leafy vegetables, such as broccoli and cabbage, soya beans and soya drinks with added calcium, tofu, nuts, bread and anything made with fortified flour, sesame seeds and tahini, pulses, dried fruit such as raisins, prunes, figs and dried apricots and fish where you eat the bones, such as sardines and pilchards. Bear in mind that spinach contains calcium but also has oxalic acid, which reduces calcium absorption. Research also suggests decreased collagen content is an important factor in osteoporosis and low-bone density. Bones are one-third collagen – and it’s this protein that gives bones their flexibility. Collagen helps in the mineralisation process and a lack of collagen can prevent calcium being bound within the bone. Try the Naticol® ProActive Hydrolised Marine Collagen Powder from Hellenia to ensure you’re getting enough. 2. Seek out the sunshine! Vitamin D is also essential to bone strength because it helps your body to absorb calcium – but it’s common to not be getting enough. Dietary sources of vitamin D include oily fish, such as salmon, sardines and mackerel, eggs, fortified fat spreads, fortified breakfast cereals and some powdered milks. Vegans should look for soya drinks with vitamin D added and consider vitamin D supplements. Since it’s difficult to get all the Vitamin D we need from out diet alone, most people should benefit from short daily periods of sun exposure (without sunscreen) from April to October. Another good reason to get out in the fresh air regularly! While exercise probably won’t strengthen your bones once you hit 30, it does help to reduce the rate or natural bone loss – and keep your muscles strong preventing falls and fractures later in life. 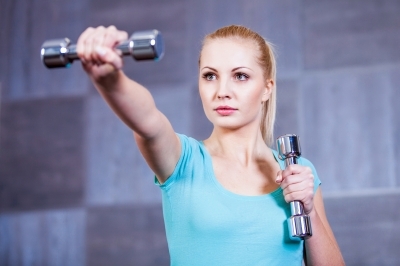 Make sure you are getting plenty of muscle-strengthening and weight-bearing workouts. Weight-bearing exercises include any activity performed standing up, such as walking, running and dancing – as when your feet and legs support your weight, your bones have to work harder, making them stronger. Muscle-strengthening exercises mean workouts that make your muscles work harder than normal, like lifting weights. This type of resistance exercise works the tendons that attach muscle to bone, which in turn boosts bone strength. You don’t even need to exercise for ages to improve bone strength – high impact exercises that jolt the skeleton (for example running or jumping) stimulate the bone-strengthening process. You could also consider brisk walking, moderate-resistance weightlifting, resistance-band workouts or machines like stair climbers and cross trainers. Even heavy gardening and carrying the shopping counts! As with all fitness regimes though check with a professional what activities are best suited to your age and fitness level. If you have children, it’s important to encourage them to be active too – to strengthen muscle and bones at least three days a week. This can include everything from walking, running, jumping and games to team games, racket sports, trampolining, gymnastics, martial arts, bodyweight exercises like press ups and dancing. Even children that can’t walk should be encouraged to ‘workout’ with tummy time, crawling and active play! This was a collaborative post with Hellenia. 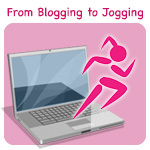 Proudly part of the #BloggingToJogging gang - bloggers that hope to inspire health, fitness and well-being. Thank you - really important info for both me and my daughters. It's hard sometimes to take into consideration the longer-term effects of eating healthily and regular exercise. Love this! My mum has to take calcium tablets now but if something like this had been out there when she was younger she might not have had to. Bone health is such an important thing and people need to be more aware of it! Yes, my nan had terrible curvature of the spine - it's so easy to eat without considering nutrition. Great there's more info for us today, particular as we are living so much longer. One of the ends of the enclosure nets has to be tied to the top of one of the pole and then stretched over to tie to the top of the pole beside it. You have to keep repeating this process unless and until tied all the ends of the net to the poles of the Trampoline hence making it completely enclosed. I’ve always been really curious how these products work. It’s good to know that the ingredients are natural and safe to use. I plan on using a system that includes breast actives supplements along with any topical products. I’m looking more for growth as opposed to shaping. A lot of useful info found here…..